'<div class="author-profile-avatar">' . $avatar . '</div>' . '<h2 class="author-profile-name">' . esc_html( $name ) . '</h2>' . '<p class="author-profile-bio">' . nl2br( $description ) . '</p>'  . ( empty( $twitter ) ? '' : '<a href="https://twitter.com/' . $twitter .'" title="twitter"><span class="dashicons dashicons-twitter"></span></a>' ) . ( empty( $facebook ) ? '' : '<a href="https://facebook.com/' . $facebook .'" title="facebook"><span class="dashicons dashicons-facebook"></span></a>' ) . ( empty( $wordpress ) ? '' : '<a href="https://profiles.wordpress.org/' . $wordpress . '" 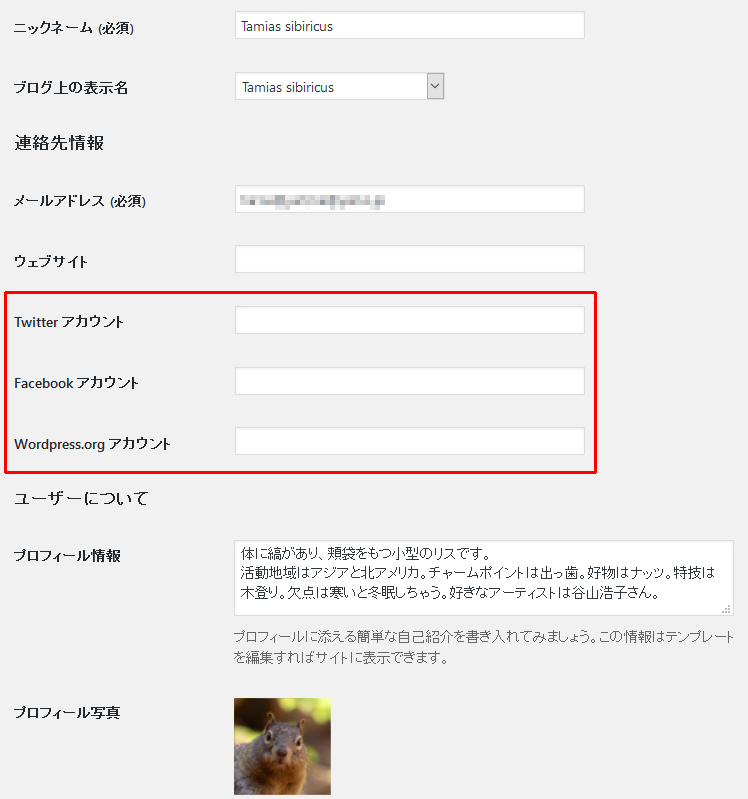 title="wordpress"><span class="dashicons dashicons-wordpress"></span></a>' ) .